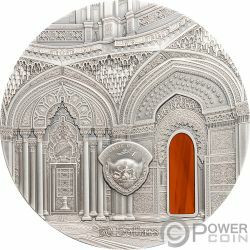 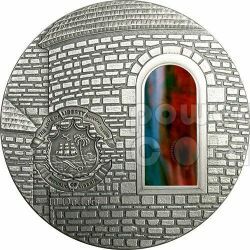 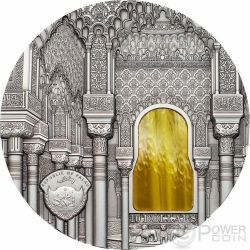 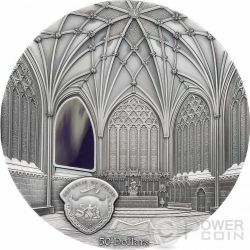 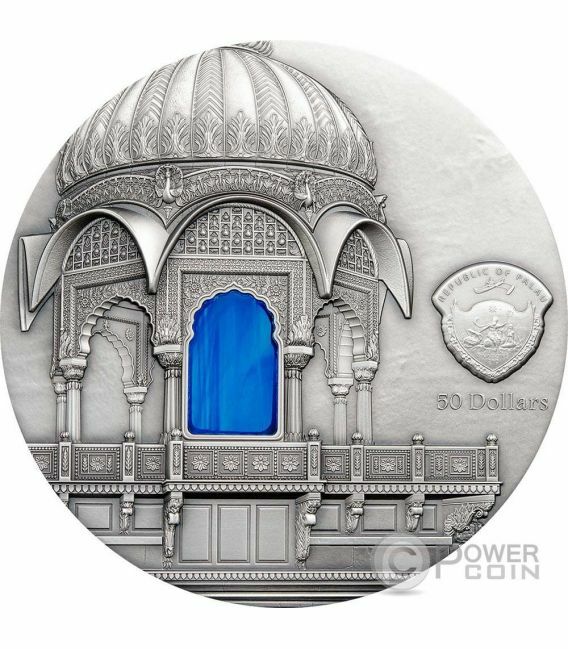 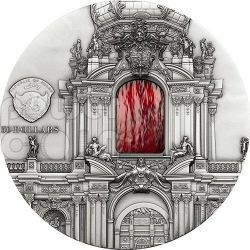 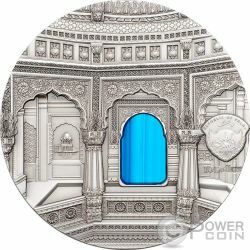 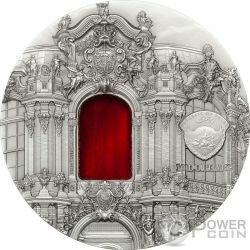 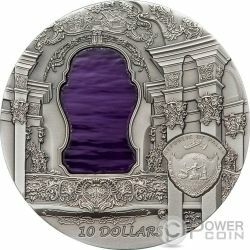 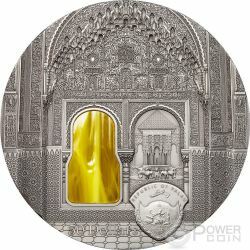 The Tiffany Art 2016, beautiful Silver coin, 1 kg with an Antique Finish quality, is dedicated to Amar Sagar Jain Temple, a spectacular structure in India. 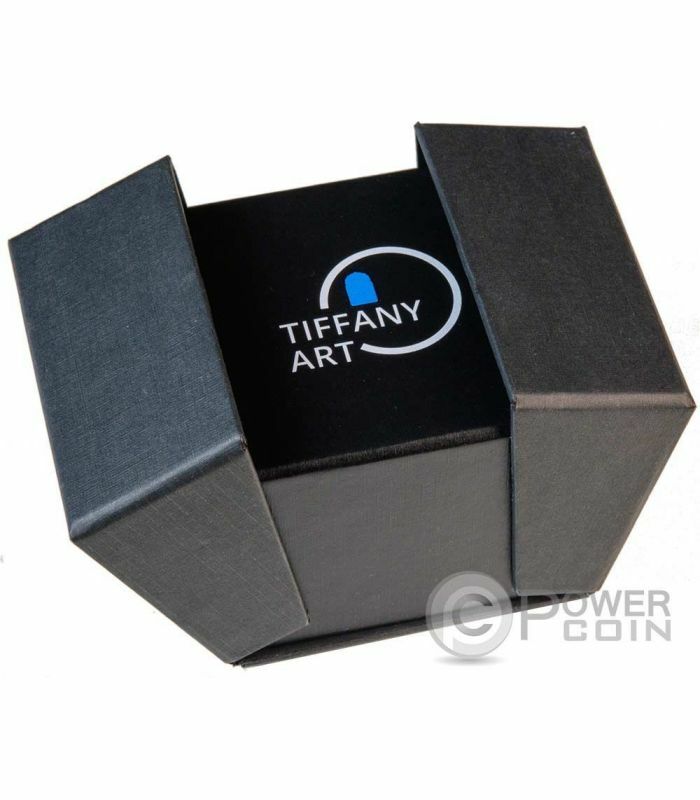 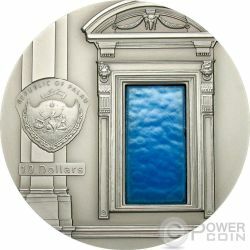 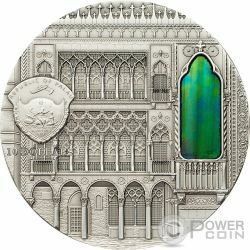 The coin is decorated with a blue glass pane according to the Tiffany glass tradition. 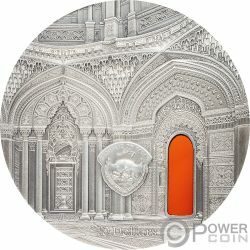 The impessive details are created with a new technique, Smartminting. 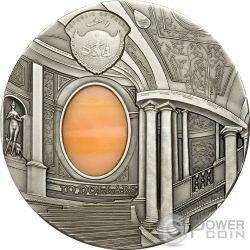 Limited mintage to only 99 pcs worldwide! 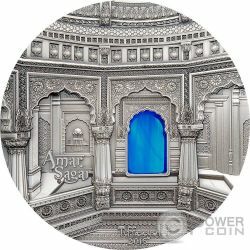 The reverse of the coin provides us a peek into the atrium of the temple Adeshwar Nath at Jaisalmer. It is Parshvanata sanctified who was one of the founders of Jainism. 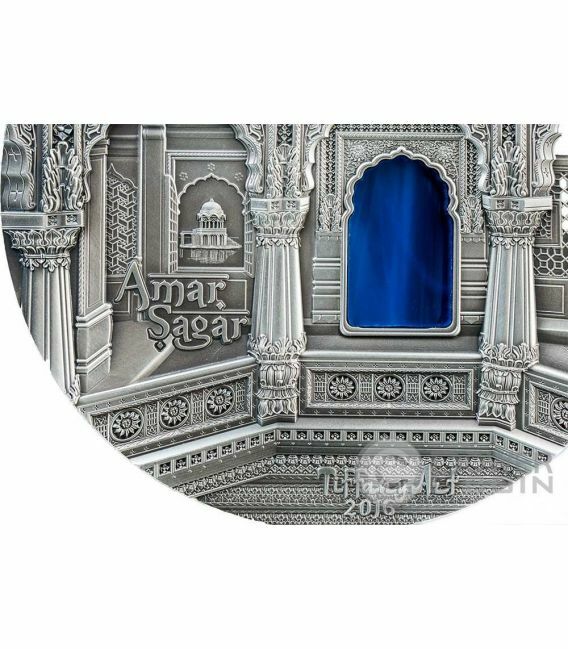 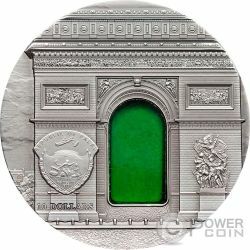 Both sides have blue glass windows and a perfect blend of unbelievable relief height and finest details. 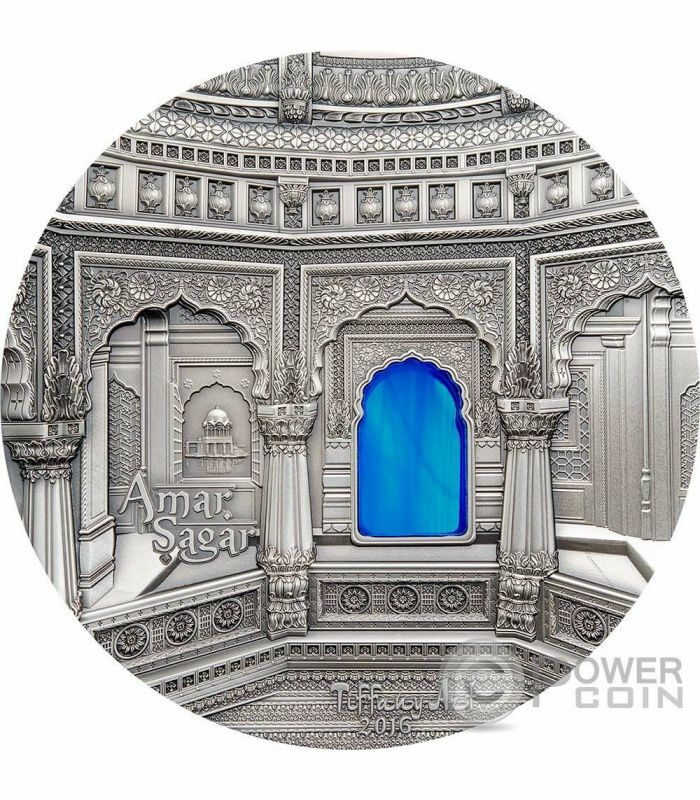 In the left side of the reverse, the inscription: "Amar Sagar" and in the bottom of the coin: "Tiffany Art 2016". 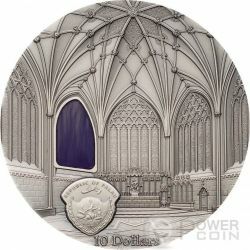 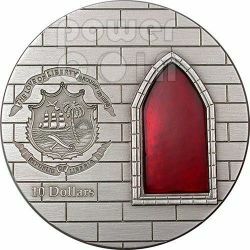 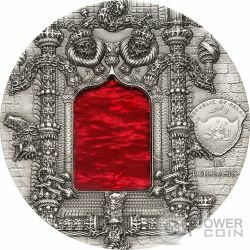 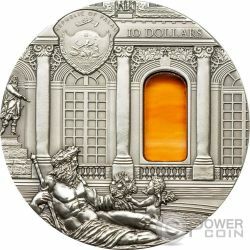 The obverse of the coin depicts the same temple and the Palau Coat of Arms and face value - 50 dollars.